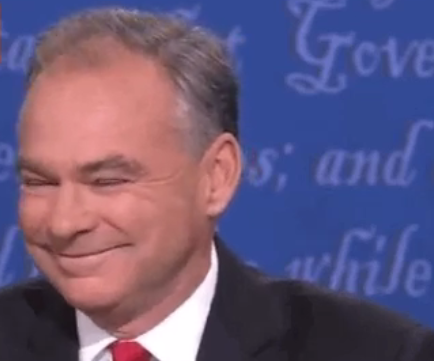 On that note, Tim Kaine insists that killing Osama bin Laden was a major step to making the world much safer and secure, as if ISIS doesn't exist. Tim Kaine also constantly made irrelevant statements about tax returns, apparently not knowing how little you can actually get out of looking at those. Tax returns to Tim Kaine are like ISIS to Lindsey Graham. Apparently, Donald Trump cannot be a leader of the military because Donald Trump minimised — as every American and American business does — the federal income taxes he pays. That translates to Trump not supporting the military and the troops. Mike Pence shut it down by asking, “Do you not take deductions?” That didn't get an answer. In case you're looking towards third-parties because of these debates, well, the Green Party ticket continually invalidates themselves. Three KoopaTV staffers out of three present gave Pence exactly a 70. Ludwig is aware that a ton of videogame-related news for the unreleased games KoopaTV is watching very closely came out today, and as of publishing, he still hasn't looked at them. He's had a big headache the whole day and was napping until he realised he had to watch these two dudes debate. He'll donate to the Donald J. Trump campaign sometime later. Here is the next debate between Trump and Hillary! Both parties score higher. Kaine is one of the few people I know who has a face that's begging to be slapped. He makes Hillary look like an angel in comparison.